A real friendly chap. Great with numbers too. 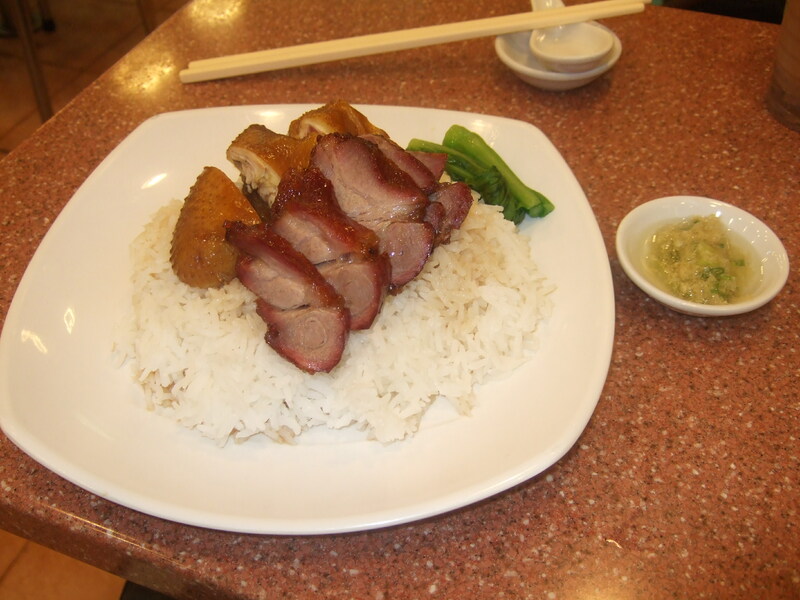 If you want to try local Hong Kong food (if there is such a thing) then you have to go to one of the many “Tea Cafes” (direct translation) they have there. These cafes are open from morning to night, and have the most interesting varieties of food imaginable (here’s a Wikipedia page if you want to know more). And the price is outrageous. A full meal could set you back less than $4 per person. Go in for breakfast and have toast or eggs. Or maybe some sweet buns (I am referring to the edible kind). Or perhaps some congee or macaroni soup. Brunch or lunch? How about some fried rice or pork chops? Stir fried rice noodles? BBQ pork? Soy chicken? How about a piece of black pepper steak or hot soup? And there’s always tea. Hot tea, cold tea, bubble tea, sweet coffee, iced lemon tea. I don’t get how they choose what they serve, but let me tell you — it all looks great! 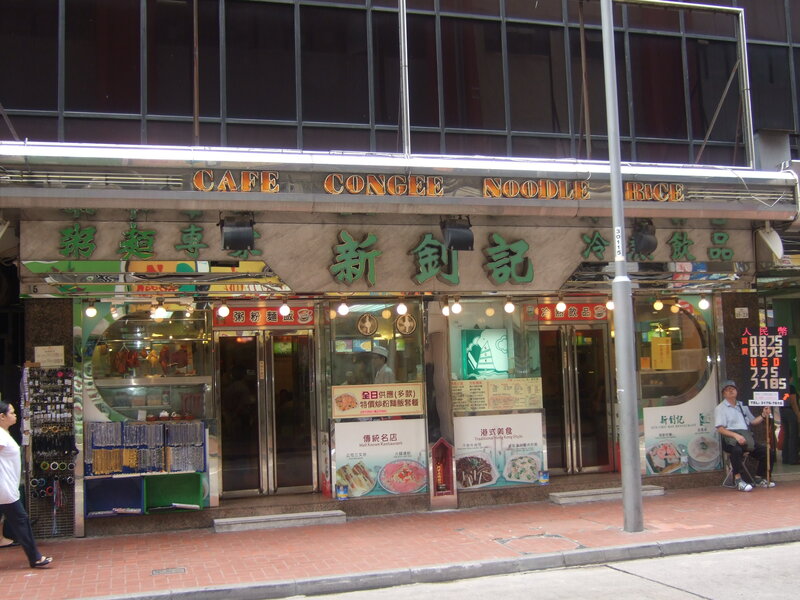 We went to three different Tea Cafes during our brief stay in Hong Kong. Two of the three are chain stores that you can find just about everywhere. All three are famous (I am certain of this because they are featured online and in books!). Let me break them down one by one. 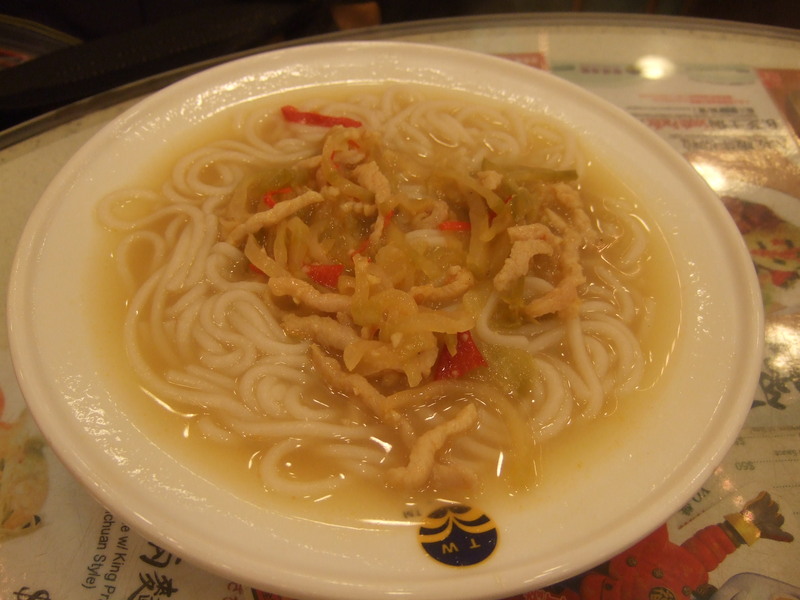 The first one we visited was Sun Chiu Kee, a very “local” looking cafe in Causeway Bay. 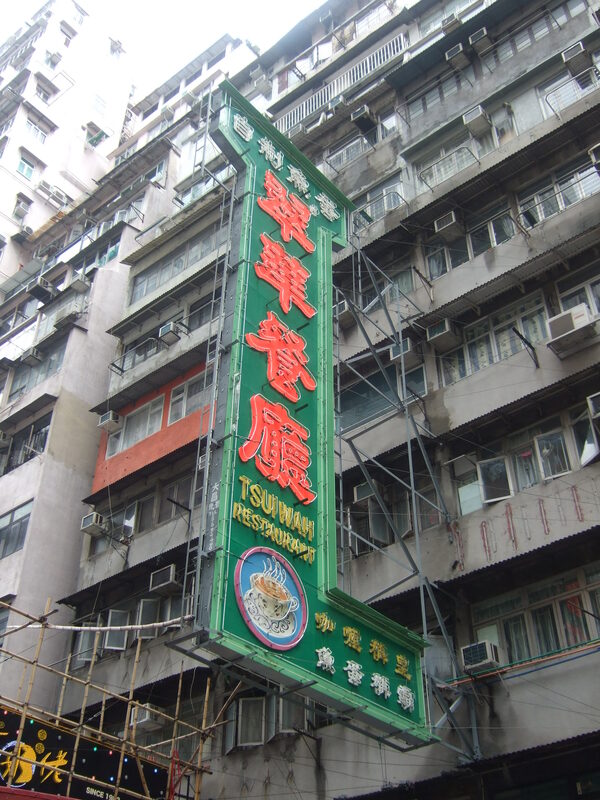 You won’t find any English outside other than “Rice Noodle Congee Coffee” on the banner, so you’ll probably need some local help to find this one (otherwise just look for the sign in the photo). Inside, you take a seat and wait for the dudes and dudettes to come and serve you. They have several types of set value meals where you can get a drink to go with some macaroni or toast or rice dish, etc. Some sets are only for mornings, while others begin at lunch time. There’s so much choice it made my eyes hurt. 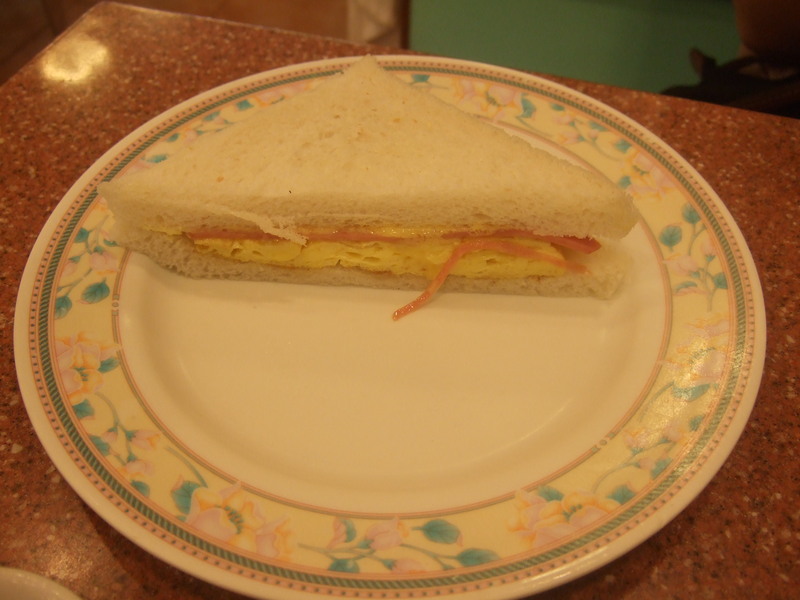 We ended up going with something relatively simple — a ham and egg sandwich plus a BBQ pork/Soya Chicken with rice. Photos below. To be honest they weren’t the greatest but they were still pretty darn good for the price we paid for them. There were lots of other dishes that looked more appetising but we had to conserve our stomachs for the rest of the day. Anyway, notwithstanding my limited exposure to Sun Chiu Kee I’d give it a solid 7 out of 10. I know, I know. It’s pretty stupid for an Aussie to go to a place called “Australia Dairy Co.” in Hong Kong of all places. But in my defence, it was in the guide book. Apparently the scrambled eggs there are to die for. According to the guide book, this place is usually packed out and people wait in line for hours just to get a seat. Fortunately, we went on a weekday, just after breakfast, so we managed to get a seat straight away. Unfortunately, the food did not blow me away. Maybe I’ve been spoiled by the Australian dairy products and eggs, I dunno. 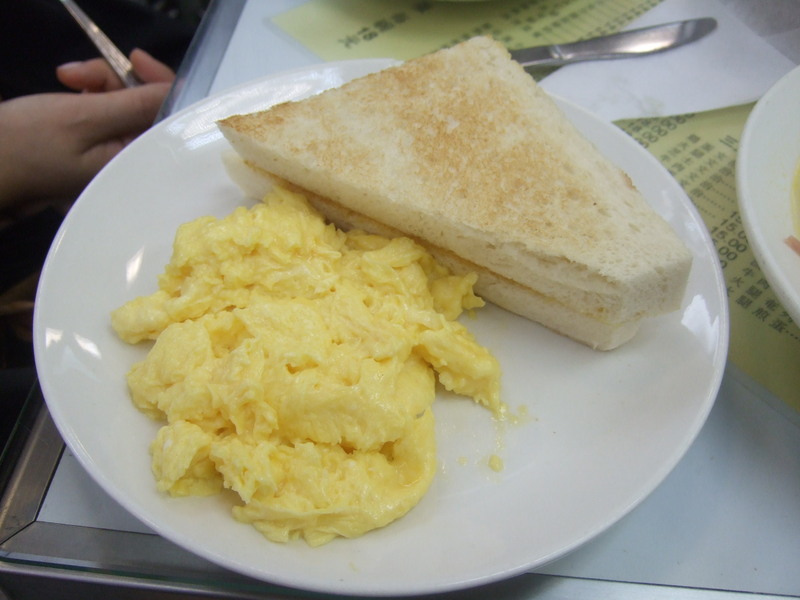 I’m not sure what I was expecting when I ordered it, but the scrambled egg sandwich was just a scrambled egg sandwich. The bread was thick and fluffy, but the egg was just like all the other eggs I have at the cafes in Sydney. 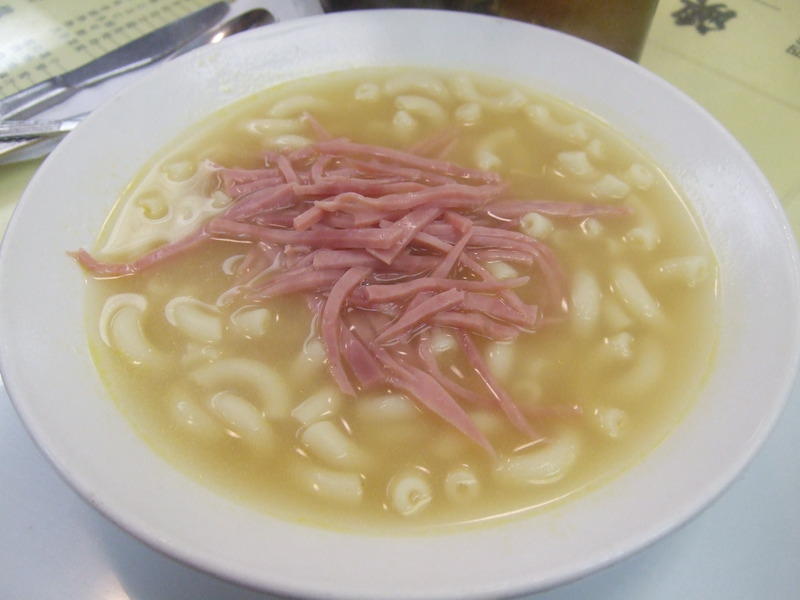 The macaroni soup was a weird one…just macaroni, soup and ham. Strangely, it tasted better than it looked. 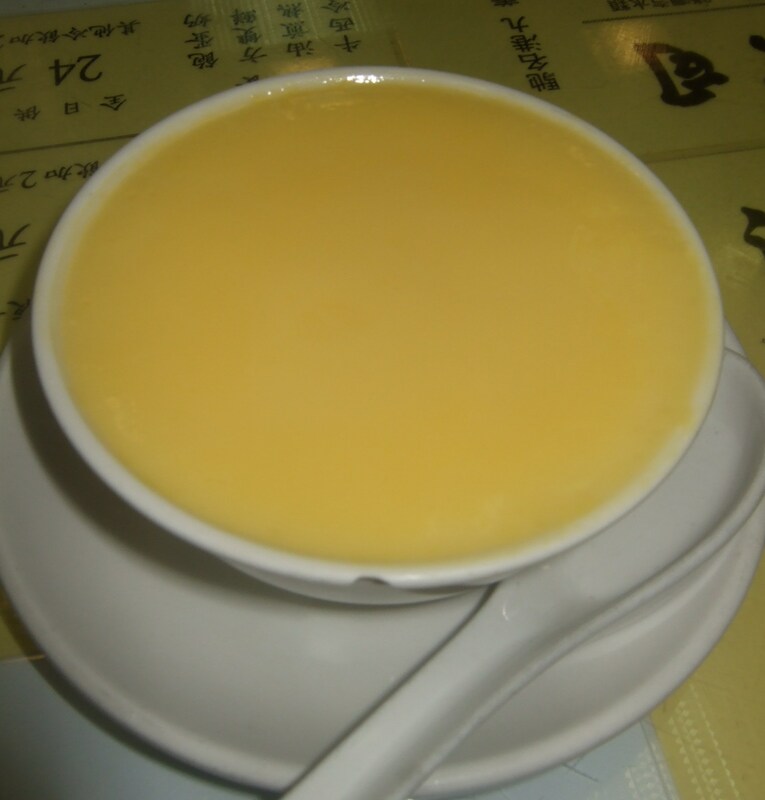 There was also an egg custard dish but there was nothing special about that either. In short, I didn’t get what all the fuss was about. 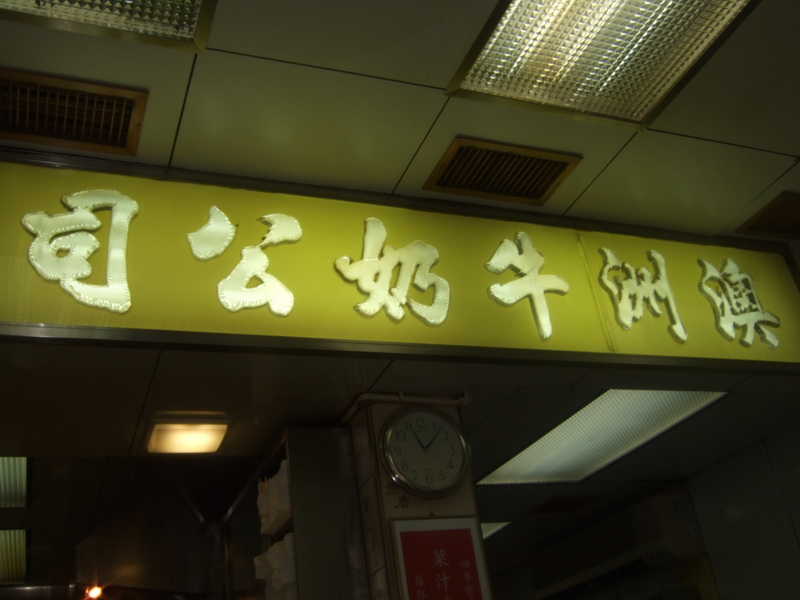 Tsui Wah is one of the most popular tea cafes in Hong Kong and it was easy to see why. We went there on our last day in Hong Kong for a “light” breakfast and ended up stuffing ourselves, as usual. 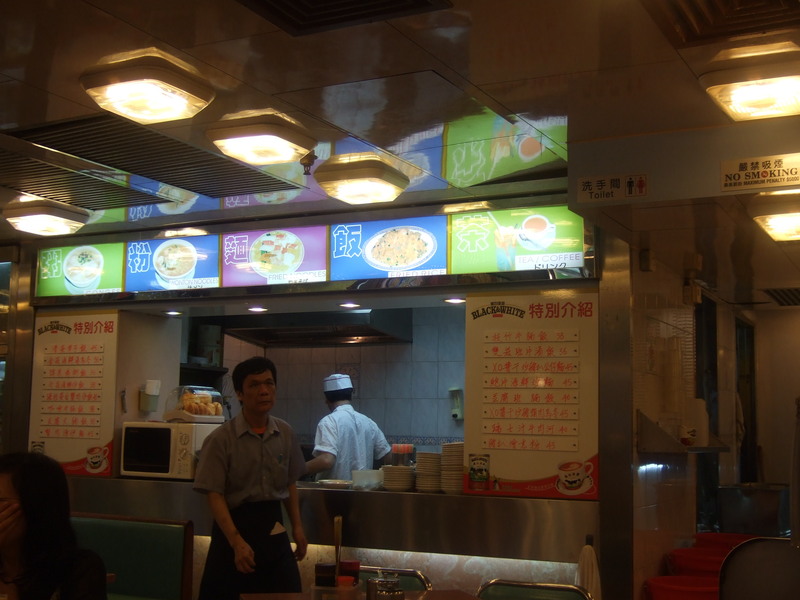 Tsui Wah looks slightly more upmarket than Sun Chiu Kee, a little classier and cleaner. There are posters all over the walls near the kitchen (where we sat) ripped out from foreign magazines that have written articles about the place. 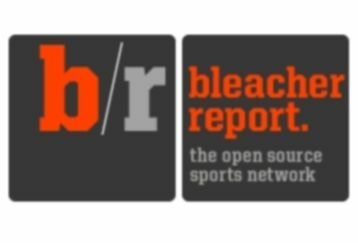 It’s done pretty well. 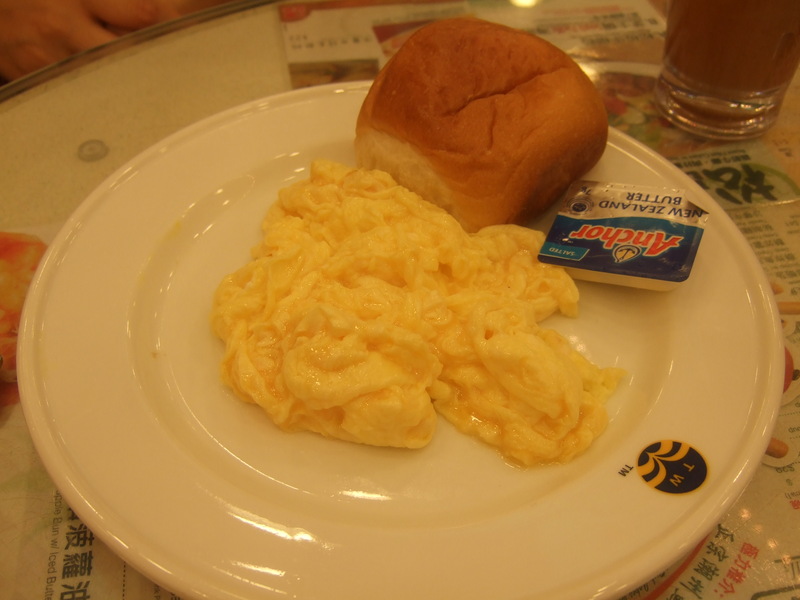 The scrambled egges and bun were decent — no better or worse than what we had at the Australia Dairy Co. 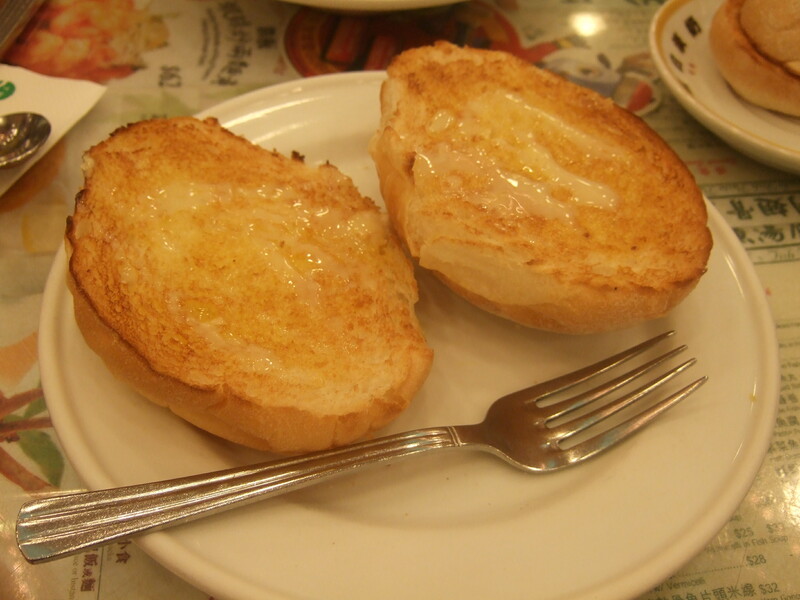 The stand out was this condensed milk glazed toasted bun that was probably the best thing we’ve had at all three tea cafes. 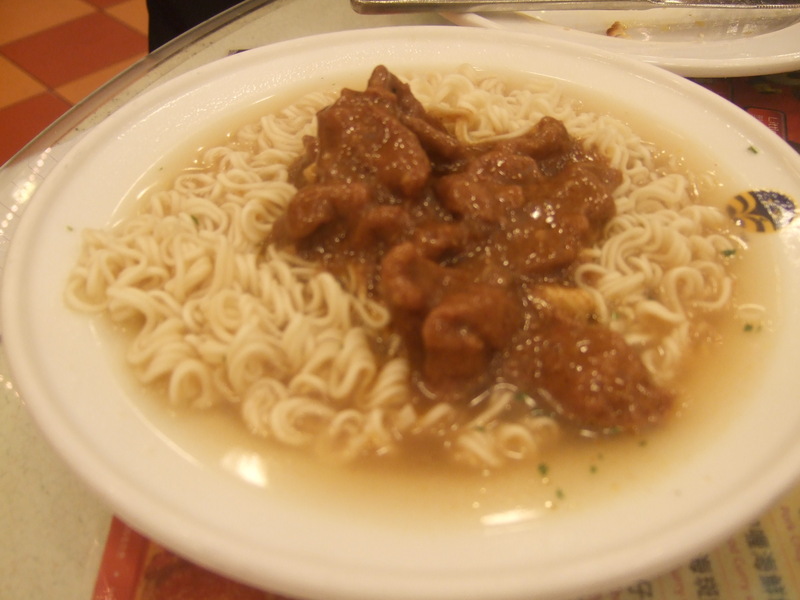 The two noodles we ordered (one beef and the other with some pickled vege) were both quite good too. See for yourself! I’d say Tsui Wah was the best of the lot.